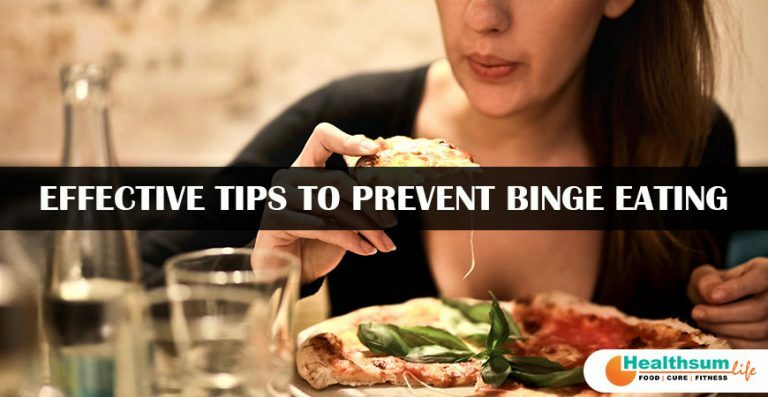 Binge eating is not taken seriously by many people, but it is a serious issue. Binge eating is the urge to eat something in between the meals and is quite common in people who are working for weight loss. It has been observed that people with body image issues struggling to lose weight often end up binge eating which does more damage than good. People trying to lose weight are anxious most of the time and skip meals and follow irrational diets. They literally punish the body with food restrictions. Within a few days, they give up on the diet feeling irritated and binge eating on unhealthy foods. Binge eating is associated with your psychology as well. A range of feelings can trigger emotional eating when you feel sad, happy, or lonely. Consuming comfort food in times of stress is a type of binge eating. However, binge eating is the result of deprivation, which leads to the vicious cycle of eating more than required. Instead of dieting, you end up eating more. Though it is essential to eat in portions and not overeat, depriving is not an option. You need to consume the right portions so that your body doesn’t feel deprived. When you drastically cut back on the calories, your body goes into starvation mode which leads to binge eating. Instead of depriving you should start nourishing your body and make a good relationship with nutrition. Stop yourself from tagging food as good and bad as this can lead to food guilt and emotional eating. Try to eat mindfully being aware of what you are eating. It is alright to have your favourite meal but in moderation. When you completely avoid eating certain foods, your mind automatically triggers you to crave them more and more. Thus, moderation is the key. You can even enjoy a slice of your favourite pizza or donut keeping a check on the portion you consume. outside in fresh air. When you are actually hungry, eat without any guilt and when you are not, avoid binge eating unnecessarily. There is nothing like a perfect diet so you should never feel guilty about not following a diet. However, you should make sure to consume whole grains, nuts, fresh fruits, vegetables, seeds, beans, pulses and protein-rich food items as they keep you satiated and you don’t feel the urge to binge eat. Allow yourself to have a cheat meal once in a while so that you don’t give up to cravings quite frequently. The above-mentioned points will prevent you from unhealthy binge eating which is found to be one of the reasons for weight gain. People trying to lose weight often end up with no significant results due to binge eating. Eat healthy in small portions at small intervals for optimum health. Download the Healthsum Life app for healthy recipes that will help in keeping fit and losing weight. The app is a perfect solution for all your fitness related needs.